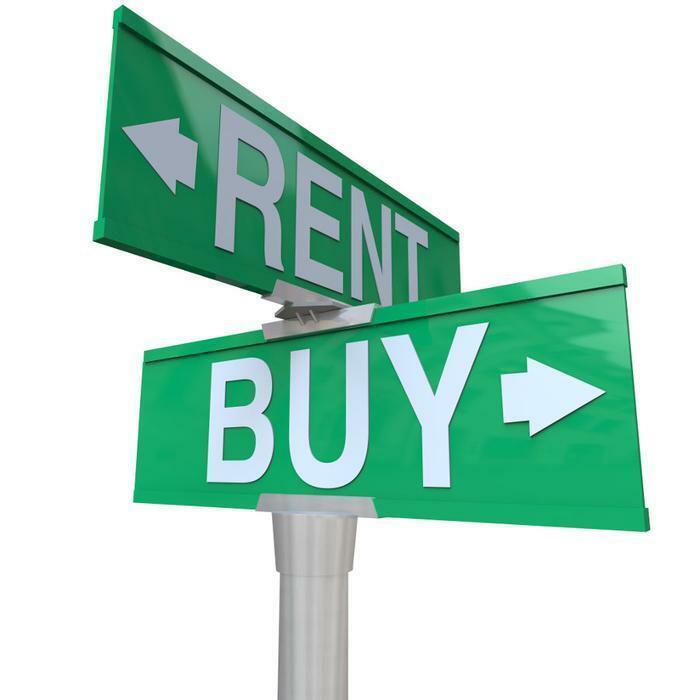 Should you buy a home or keep renting? It's an often-asked question but one that doesn't have a simple answer. Instead, the answer is usually "it all depends." It all depends on where you live, what your financial circumstances are, and more importantly, how long you expect to stay in one place. The answer has been further complicated in recent months because the price of a home in many areas has risen sharply, while rents have mostly leveled off. So the answer might well have changed recently. Real estate marketplace Zillow has an online rent vs. buy calculator, which looks at a number of different factors in your local area to quickly provide an answer. First, it measures the total cost of homeownership. That includes the down payment, monthly mortgage payment, taxes, and insurance. If you just compare the monthly mortgage payment to monthly rent, buying might always appear to be cheaper. But throwing in the down payment significantly alters the equation. It could take many months of saving money on the monthly payment to make up for the amount of the downpayment. The calculator will give you a bottom line, telling you how long you would need to live in the average home you could purchase in your area to make it cheaper than renting. In all 11 states the average mortgage payment is higher, not lower, than the average rent payment. In Colorado, for example, the spread is $111. Zillow also suggests consumers weighing their buy vs. rent option also consider some non-financial factors. It says would-be buyers need to be "emotionally ready" to make the numerous decisions that go into such a transaction. Consumers also need to honestly assess their "homeowner skills." You need to be able to be able to do the numerous simple tasks that go into homeownership, such as changing the furnace filter and replacing a toilet flapper. After all, when something breaks, there is no landlord to call.